Paint a simple tree trunk and branches. It doesn’t need to be anything fancy. You can leave out the branches all together and just paint the trunk. I just like the branches peeking out from behind the leaves. Use acrylic paints or tempura paints to paint the shiny side of a CD or DVD. 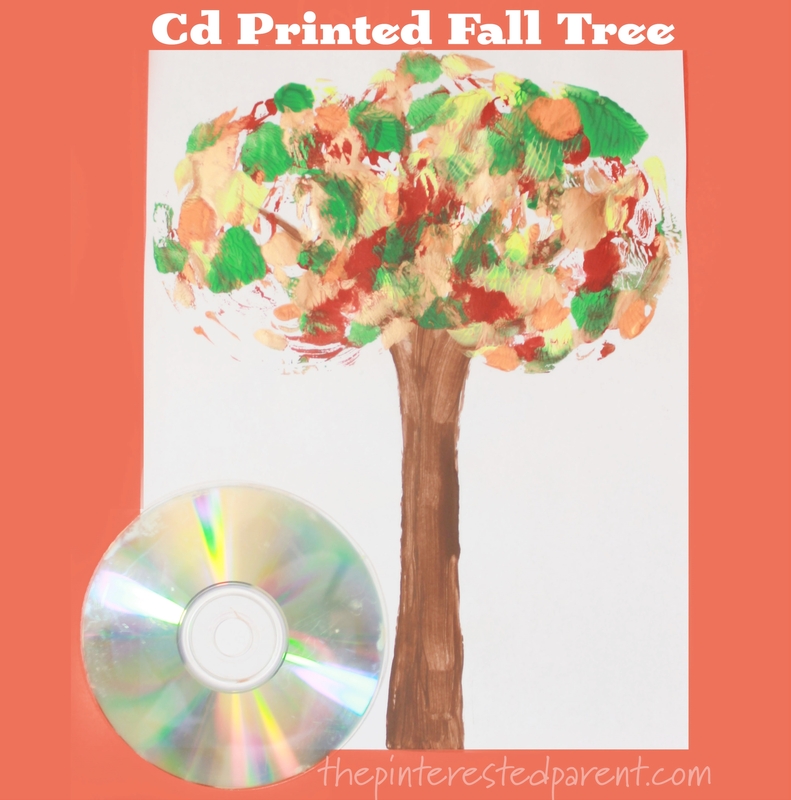 Use fall colors and paint in short stokes all around the CD. Try to cover as much of it as possible . 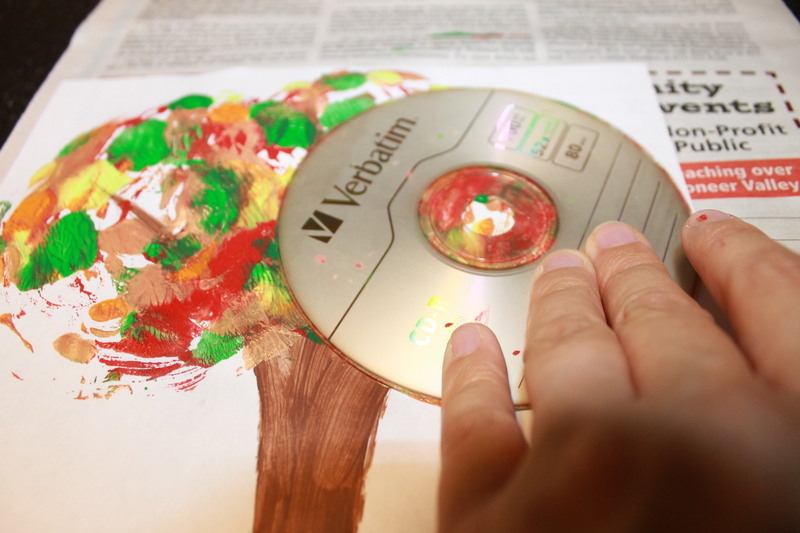 Press the painted side of the CD onto the top center of the piece of paper with the trunk on it. Press firmly all around to transfer the paint onto the paper. Repaint the CD and then press it onto the paper again, only this time do it with a slight overlap to the left. You may choose to wipe off your CD in between steps or just paint over the existing paint. Repeat this process one more time on the right to finish off your tree. 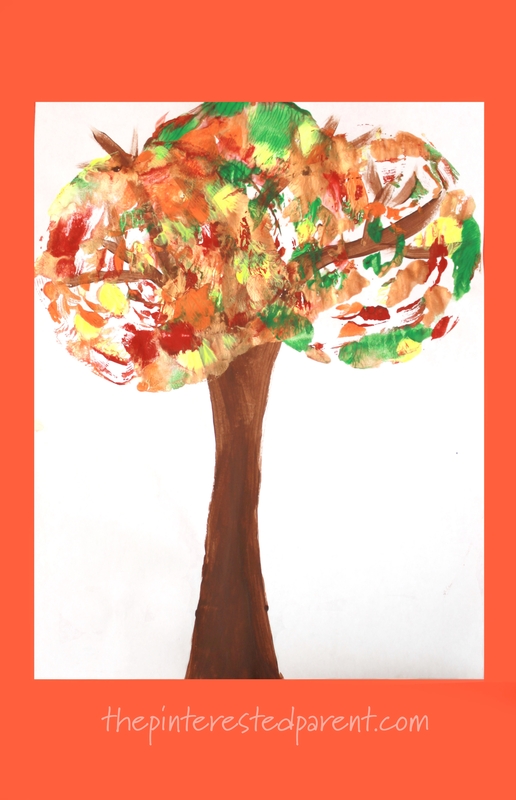 Play around with different strokes and play with the colors to create your trees. When you are done making your prints, you may wash the paint right off of the CD with water and use it again for another day. We have a lot of old CDs so stay tuned for more projects.